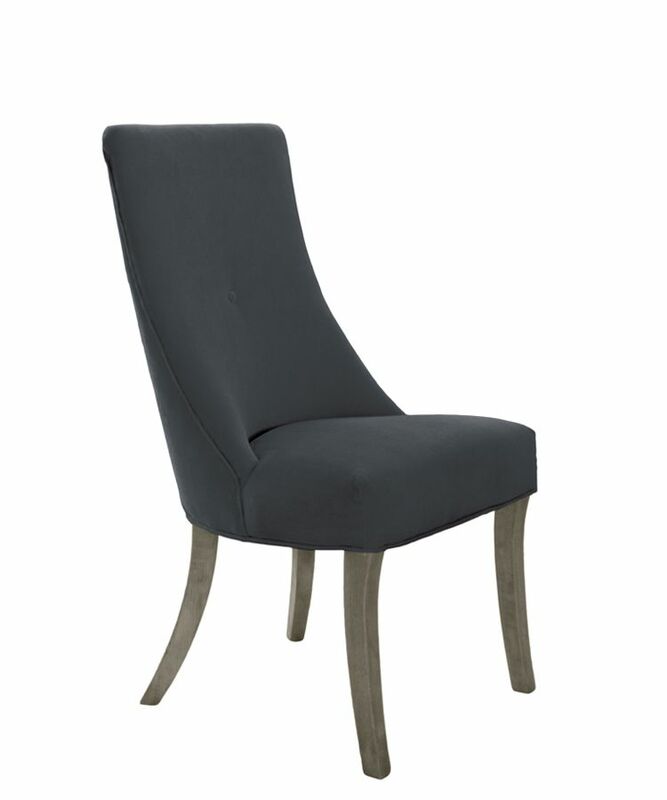 A new addition to our exclusive range of made-to-order upholstery, includes this stylish dining chair. available in a choice of 36 fabrics - it is traditionally constructed and crafted for comfortable dining. Our dining chair is made-to-order in a choice of 36 hard-wearing velvet fabrics, with a choice of matt or antiqued velvet. 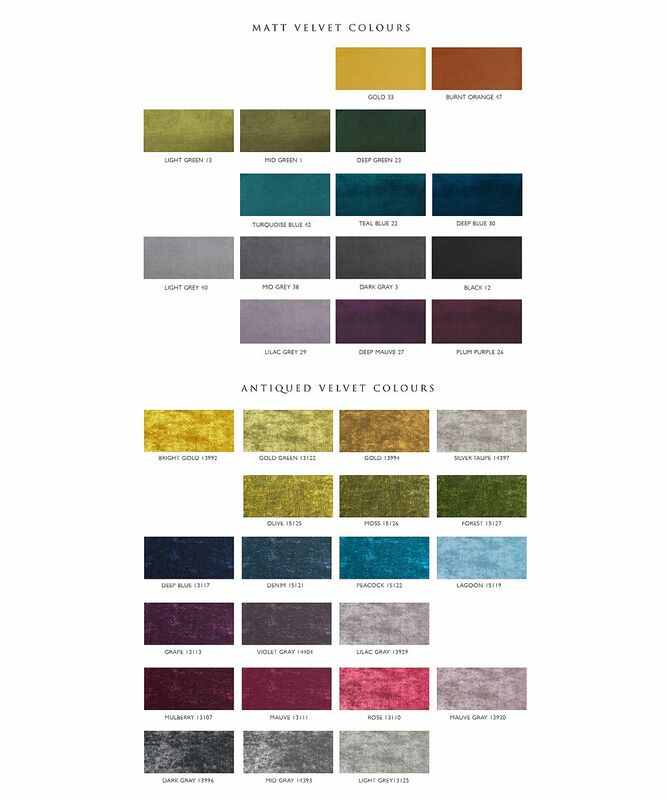 To help you select your fabric type and colour please select your choice of fabric swatches (up to 5 free, thereafter £3.95 pp) which you can choose from the separate fabric swatch page. If you don't see a colour you like, please do contact us, as there may be other colours available in these ranges. We can also upholster in your own fabric, please contact us for details. Example shown in Light Gray 40, with ebony legs.